“I have never identified myself with the term ‘New Music’”, says Jorge E López. “Rather, I was driven from the beginning by the idea of making the primordial present. I do not seek for the new, but seek rather for what is repressed. I do not believe in progress in art”. With the title Symphonie Fleuve, López points to the idea of a direct flow of thoughts or stream of consciousness more or less seismographically transferred into music. At the same time, he also points to the “liquefied sound” of the solo horn that is intended to appear flexible in a way similar to that of the human voice. “The horn cries out and calls mostly brief words of an unknown language”. 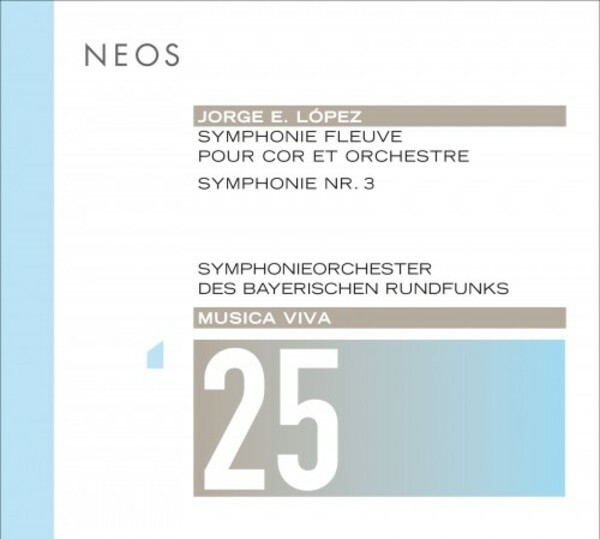 The Third Symphony, Op.24 is also in two movements and conceived by López as a “transformation of the morphology of Beethoven’s C minor Piano Sonata, Op.111”.